With the release of the My Transactions feature, the buyer can indicate that they have paid for their items, and the system will mark them as sold. Here's a guide for buyers on how that works. If the buyer does not use this feature or your items sold outside VarageSale, you can still mark your items as sold. 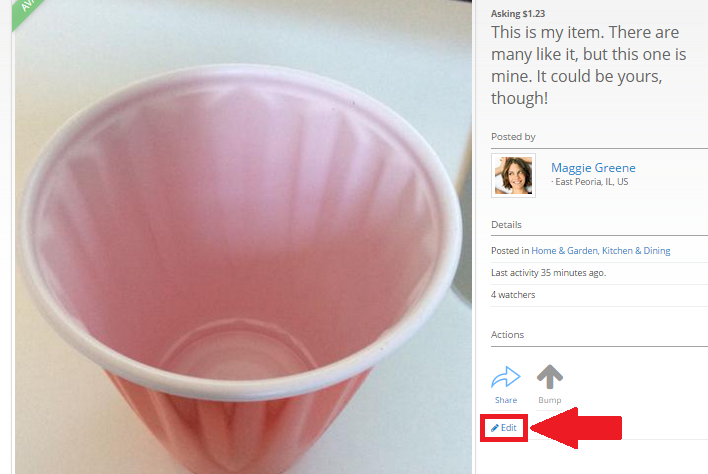 Here's how to mark your item as sold. Sold items will be automatically removed from the system after they have been in sold status for 7 days. ** Please note ** It is important that you assign a buyer to your items, so they will show up for you and your buyer in your My Transactions view. Also, assigning a buyer is how both seller and buyer get the sale counted towards their Top Members progress. There are two quick ways to mark items as sold. Through My Transactions or on the item detail page. For members to mark items sold easily through My Transactions, the seller should be sure to reserve it for the buyer. From My Transactions, tap the transaction that is complete. The buyer can tap 'Transaction complete', which will mark all items as sold - or the seller can tap 'Mark as sold'. Alternatively, the seller can mark items as sold on the item detail page. Tap "Mark item as sold"
Select whether the item was sold on VarageSale or elsewhere. 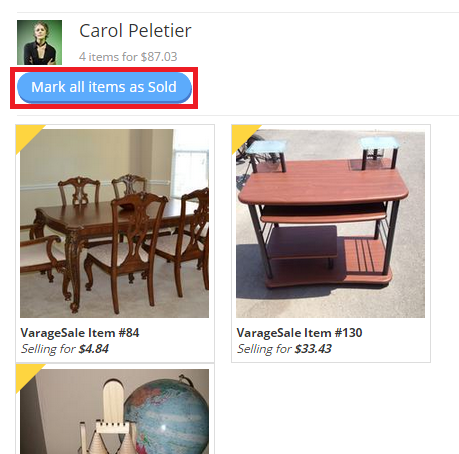 If the item was sold on VarageSale, tap the For field, enter the buyer's name then click " Mark item as sold"
There are two ways to mark items as sold. Through My Transactions, or by editing the item. 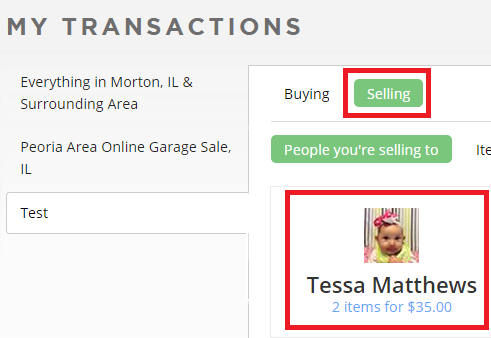 If you want to mark items sold easily through My Transactions, you'll need to ensure you have reserved the item for the buyer so it shows up in My Transactions. Click on My Transactions, and then the Selling tab. Click on the buyer's name to open the transaction. Click "Mark all items as sold". 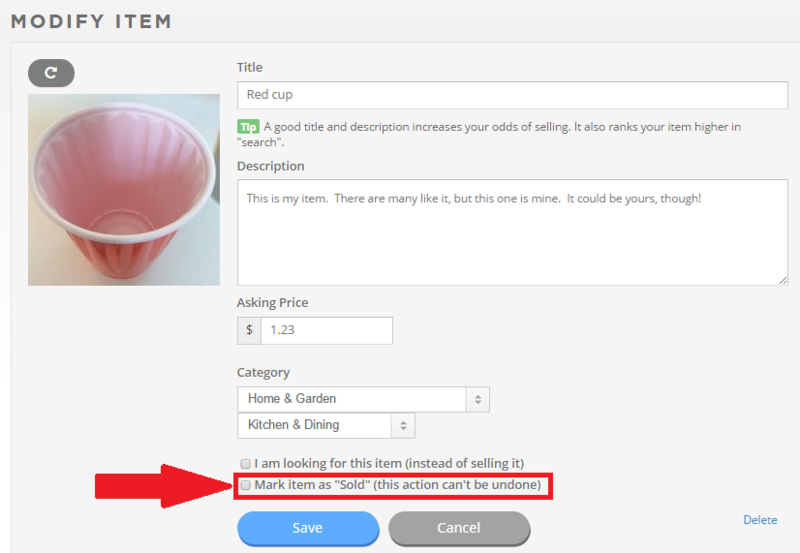 You can also mark items as sold by editing the item and selecting Mark item as Sold. 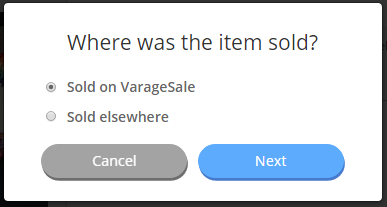 If you select sold on VarageSale, be sure to enter the name of your buyer. 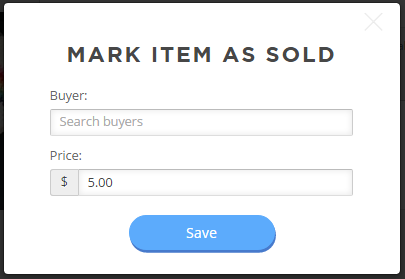 If the buyer is not a member in the community in which the item is posted, just click on Save to mark the the item sold without assigning a buyer.